January was a little bit of a quiet month for me. It’s always a time to recharge after the busy holidays and spend a little time getting some much needed R&R. But that doesn’t mean I didn’t still have some fun! 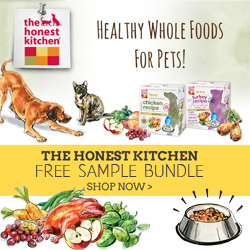 The Honest Kitchen – FREE SAMPLE BUNDLE for $1 in shipping (discount automatically applied at checkout). Read my past reviews on The Honest Kitchen products. Barkbox – Use code AMMO for a FREE $10 to the BarkShop. Also, check out my past reviews! 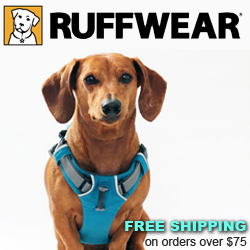 Ruffwear – Free Shipping on all orders over $75 at Ruffwear! You can check out my reviews of some of their great gear including my favorite harness & life vest! 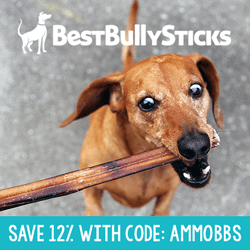 Best Bully Sticks – Use code AMMOBBS to save 12% off your Best Bully Stick Order. Check out my review of Best Bully Sticks. I helped my sister out when she was in desperate need of a tissue. I shared some grand memories from my Christmas! I got dapper for the very first wedding shower I attended! I helped my baby sister celebrate turning 5 months old. I shared my adventures on the beach with my dog squad. I shared a fun little guessing game…which turned out to be a lot harder than it looked! I created a brand new challenge called American Barn Warrior….and I was the champion! And that brings us to February! I’m still waiting on a BIG BIG snowstorm for this year….it better happen soon, before it’s spring! Which one of my adventures was your favorite this month?